The Cruelty Free Shop is Australia's first online vegan store run by Jessica Bailey for over 10 years. Jess will soon be opening a store front in Glebe, New South Wales - something that excites the locals no end. Vegan Perfection has been run for over 10 years by Jeremy and Rebecca who import a massive range of vegan goods from the UK. If you've seen any of these brands in your local health food store, it's probably because of them. The Arctic Vegan Store was created by Sarah Davison in 2008 and fulfils a long-held ambition to start a business that reflects her personal ethics. The store focuses on high quality and stylish vegan fashion as well as certified vegan beauty products and other lifestyle items. Bliss Organic Cafe is not only has some of the best organic vegan food in Australia, they are also a fully-stocked vegan store run by Grace & Shane. The always expanding shop stocks groceries, house-hold products, vegan pet food, cosmetics, books, CDs/DVDs and much more plus they're open 7 days. The Green Edge orignally created by Amanda Benham, is now owned and run by Cale who is dedicated to providing the means for people to make more ethical choices in their daily lives with a grocery store and cafe located in Brisbane's Northside. Just Green Food is a vegan based food retailer and wholesaler. We import and distribute vegan frozen and dried goods as well as health beverages to supermarkets, restaurants, caterers and directly to customers online and in their shop front. 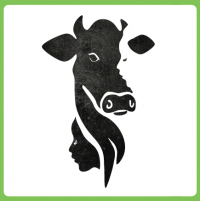 Mad Cowgirls is a cruelty free grocery & organic produce store run by mother and daughter team, Beri and Pearl. The PAWS store is run by the People & Animal Welfare Society, a non-government, not-for-profit organisation extablished in April 2000. They also have two Cafes: one in Perth city and one in Tuart Hill. The Personal Vegan is an online store run by Aaron and Tara that sells cruelty-free, palm oil free, eco friendly and healthy bathroom and bedroom products. 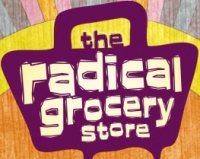 The Radical Grocery Store is an ethical, sustainable grocery store specialising in vegan, organic, fairtrade, recycled, reusable, natural and local products run by Anikee and Rak located in the Melbourne vegan-mecca suburb of Brunswick. 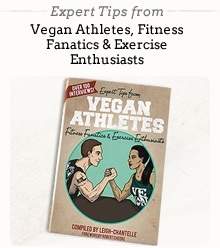 The Uproar Vegan Store is run by Noah Hannibal who stocks a lot of supplements especially for body builders and also the home of Australia's newest vegan magazine, Living Vegan. See my blog on the magazine. Vegan Market is a family owned and operated online business, based in North Queensland. 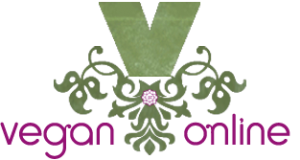 Vegan Online is run by mother and daughter team, Kym and Kelly who sell a large range of groceries, cosmetics, pet food and much more online. Obviously Kym and Kelly work well together as they also run the animal sanctuary Freedom Hill Sanctuary in Woodside. The Vegan Store started by Cassandra in Adelaide has recently relocated to Brisbane where it is now owned and operated by Steven and Andrew who are passionate about supporting artisans and independent businesses, and helping community groups achieve their goals. Vegan Style is a young Australian company that sell cruelty free shoes including Women's shoes from Brazil and Men's shoes manufactured in Portugual. NOTE: this list will be updated as stores are added. If you know of any or if you are opening an online or store front shop, please Contact Me.